Iran is prepared to boost the capacity of its uranium enrichment to 190,000 separative work units (SWUs), an official at the Atomic Energy Organization of Iran (AEOI) says. "Based on a decree by the Leader of the Islamic Revolution [Ayatollah Seyyed Ali Khamenei] and the emphasis put on this issue by head of the Atomic Energy Organization of Iran, the country is ready to increase its uranium enrichment capacity to 190,000 SWUs," Behrouz Kamalvandi, the AEOI's spokesman, said on Sunday. US President Donald Trump withdrew Washington in May 2018 from the landmark Iran nuclear agreement, officially known as the Joint Comprehensive Plan of Action (JCPOA), and decided to re-impose unilateral sanctions against Tehran. Under the deal, reached between Iran and the P5+1 group of countries in 2015, Iran undertook to put limits on its nuclear program in exchange for the removal of nuclear-related sanctions. Elsewhere in his remarks, Kamalvandi said Iran is also ready to increase the level of its uranium enrichment form 3 to 20 percent if necessary. He added that Iran has drawn up plans to start re-designing the Arak heavy water reactor given the fact that the signatories to the nuclear deal have failed to fulfill their commitments. The official further stated that the AEOI plans to use new machines to enrich uranium and has made required preparations in this regard. 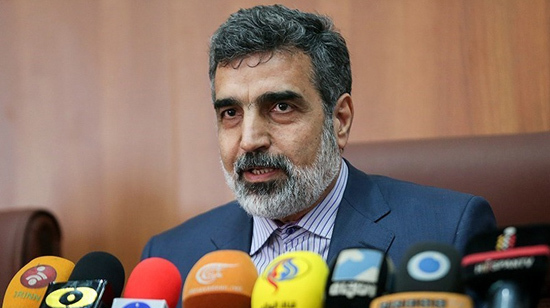 Kamalvandi added that the latest achievements of Iran in the field of nuclear technology will be unveiled in the first month of the forthcoming Iranian calendar year (starts March 21, 2019), one of the most important of which is the mass production of Oxygen-18.